The RBI said banks can grant non-fund-based facilities, including Partial Credit Enhancement PCE), to those customers, who do not avail any fund-based facility from any bank in India, subject to conditions. The central bank said banks should formulate a comprehensive Board-approved loan policy for grant of non-fund-based facility to such borrowers. 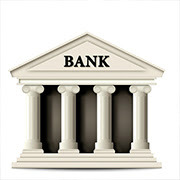 Banks should undertake the same level of credit appraisal as has been laid down for fund-based facilities.The banks should ensure that the borrower has not availed any fund-based facility from any bank operating in India.However, at the time of granting non-fund-based facilities, banks have to obtain declaration from the customer about the non-fund-based credit facilities already enjoyed by them from other banks.